Once infamously known for its drugs and violence, Colombia has cleaned up its act over the past few years drawing in people who are eager to explore the diversity and natural beauty of this South American nation. The country boasts booming cities, pristine beaches, and tropical jungles, plus it has a great climate year round. The capital of Bogotá sits on the Colombian Andes. 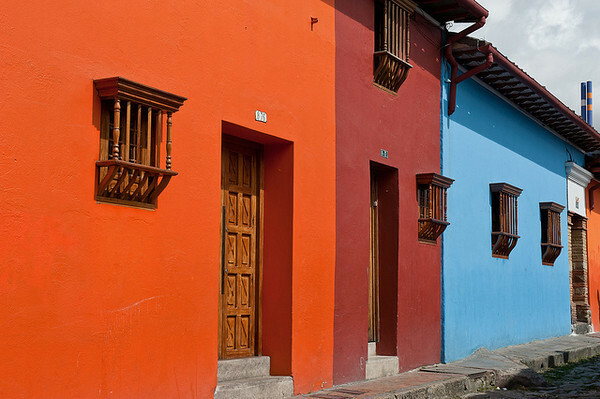 The historic neighborhood of La Candelaria is home to churches, libraries and theatres that date back to the colonial period. Bogotá is a metropolis that perfectly blends the past with the present; this can be seen through the mix of colonial architecture and modern skyscrapers. 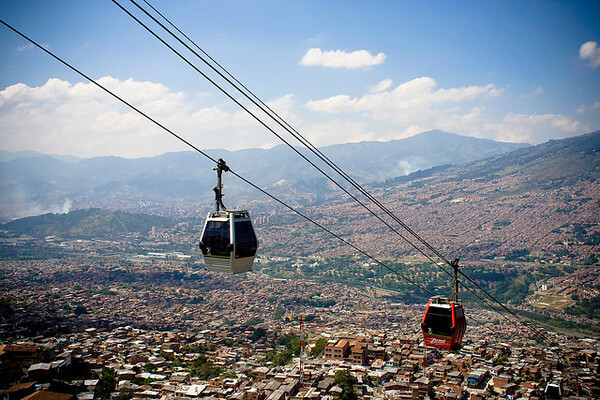 Medellín is the second largest city in Colombia. Surrounded by mountain ranges on all four sides, this city offers some fantastic views which are best enjoyed from the cable cars. Moving further up to the north shores, the old walled city of Cartagena offers a look back in time through the fortress that was once used to defend the area from pirates. And lastly, with coastlines on both the Pacific Ocean and the Caribbean Sea, Colombia offers kilometers of sandy shores for you to surf, swim or try your hand at some of the emerging water sports. Accommodations are usually arranged through the school on your behalf. On a typical workweek you can expect to put in 20 -30 hours a week, though these hours may increase during busier times of year. Income tax is 33 percent. Unless you are earning in USD, the ability to save is not very high, but you’ll be able to live well if you maintain a full teaching schedule. Jobs are best obtained once you are in the country. A Bachelors degree is preferred, though if you choose to work in one of the smaller cities they may be more lenient. Most teachers choose to work while on a tourist visa, but if you are signing a full year contract, the school should assist you through the process of obtaining a work visa.